Individual Lawyer Newsletter Service – Six Month Contract (month-to-month after that). Cost is $125 per month, per lawyer. We will draft, edit, get approval from you, and send one monthly legal newsletter on your behalf. This is our newsletter service for individual attorneys. Our service makes sending effective newsletters as easy as responding to an email. It will take you less than five minutes each month. Each month our company will send one newsletter to your individual referral network. 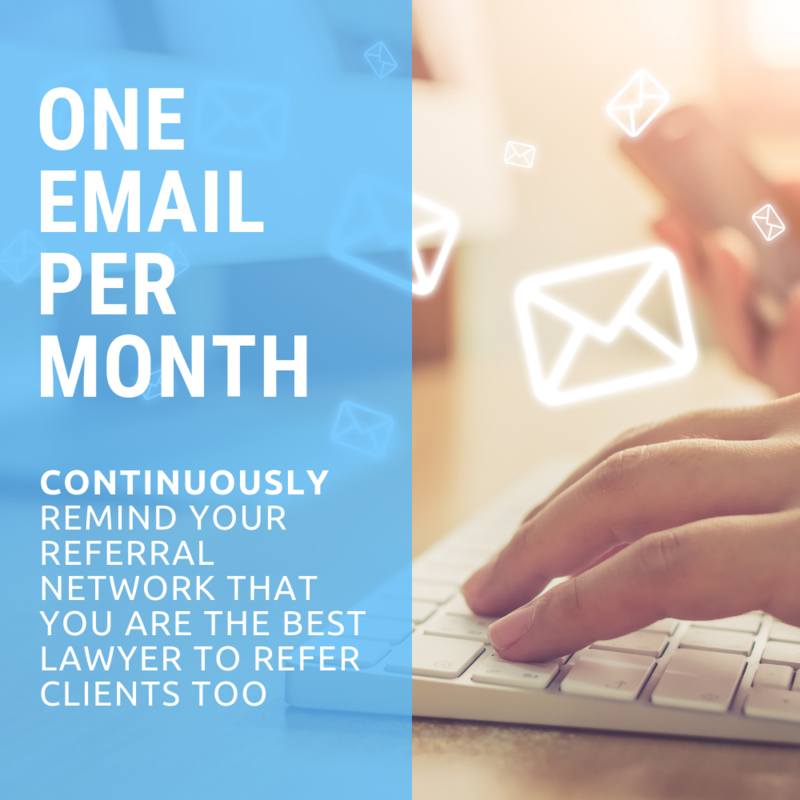 This includes your attorney colleagues, former clients, friends, family, and any other individuals that are in a position to refer clients to you.